On January 3rd, actress Jill Haworth — perhaps best known for her role in Otto Preminger’s epic 1960 movie “Exodus” and for originating the role of Sally Bowles in the Broadway musical “Cabaret”— died in her New York City home. She was 65 years old, and her death was ruled to be from natural causes. Ms. Haworth was born in England, but she made The Naked City her new home when she set her sights on being an actress as a teen. She retained a slight British accent even in her later years. 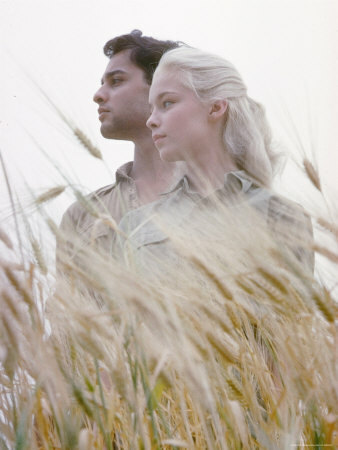 After making her film debut as Sal Mineo’s ill-fated girlfriend Karen Hansen in “Exodus” at age 15 (Life mimicked art when the petit blonde starlet and Mineo became young lovers in real life. ), Haworth appeared in two more movies directed by Preminger: “The Cardinal” in 1963 and “In Harm’s Way” in 1965. In 1966, at age 21, Haworth beat out more than 200 young actresses for the lead role in Harold Prince’s Broadway premiere production of “Cabaret”. However, Jill was overlooked for the Sally Bowles role in the 1972 movie version of the play; the part went to a certain rising star named Liza Minnelli. A popular model as well as actress, the ‘60’s were clearly Jill Haworth’s decade. She appeared with Sal Mineo on the cover of “Life” Magazine in December 1960, and seven years later she appeared in a 25-page spread in the March 1967 issue of “Cosmopolitan”– the only female model/actor to ever have such an extensive layout. There were also many magazine covers and articles in between. As the years progressed, Haworth’s roles on the big screen became infrequent, and she found herself appearing with only modest regularity on the off-Broadway stage and on TV until she went into retirement from acting altogether. 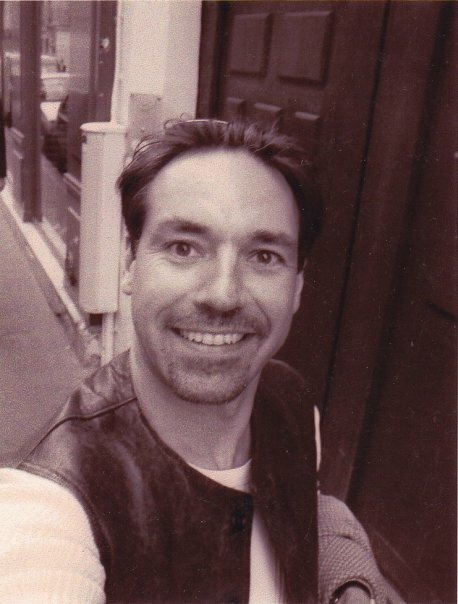 Photographer/actor Paul Toussaint was a very close friend of the actress. Toussaint actually spoke with Jill just the day before she was found dead. He will be delivering a speech at her memorial service in New York City on Thursday, February 3rd. Not too long before Haworth passed away, she called Toussaint to express her excitement about the new biography of Sal Mineo by Michael Gregg Michaud, to which she contributed to very heavily. She stated about the book, “My brain was picked to shreds for three years!“ The bio, released in November 2010, was actually dedicated to both Haworth and actor Courtney Burr. Jill was also ecstatic because she learned that actor James Franco had bought the movie rights to the book. JR: So, Paul, what was your friendship with Jill like? How close were you? PT: We were very close. I was taking care of her– and basically, taking care of her life to a point. She didn’t like to go out much. She was very scared and nervous of going out. We did go out sometimes. It was tough to drag her out of the house, and when I did, there was always a story. You never knew what was gonna happen! We used to always go to her house and watch movies or whatever, and talk. She had great stories! PT: She talked about what she did, who she dated… She traveled around the world. She was very nonchalant about it. She was invited to The White House twice. She would tell us about the stories on the set. One of the stories I like is how during “Cabaret”, she sprained her ankle. She extended her sprained ankle so that another co-star would dance the part that she had to dance. The girl needed extra money, so Jill let her dance for a few more days. Jill was the type of woman who if she had ten cents, she’s give you eight. She really would, and she’d always been that way. She was funny. The stuff that would come out of her mouth… as you heard! Very sharp, witty, and smart. JR: I imagine that it would have been tough not just for Jill but for any actor to keep finding good roles to play through the years. Many sources say that it’s even more difficult when you are a woman, and when you’re a woman of a certain age. Did Jill ever speak to you about that? PT: Well, back then actors didn’t get residuals like they do now. She never really talked about that. I became friends with her later in life, so I don’t know when her career really started to slow down. I know that her mother got very sick, so she took a lot of time off to take care of her mother. She just stopped going for jobs and auditions. She did voice-overs at that point. She never mentioned it, so I can’t really say. JR: Seeing the pathway that Jill chose, and especially with you being an actor yourself, what did you learn from her experience? PT: Jill created the role of Sally Bowles in “Cabaret”, and basically what I learned– and what she taught us– is that life really IS a cabaret! To be an actor– unless you’re huge, and only a few people make it really big– you’re gonna be starving. It’s a lot of work. It’s very hard getting in the business, especially now– with all the other aspiring actors. I don‘t think there were that many back then. I really don‘t. JR: And, I think that to be a good actor or actress, you have to not only really love what you do, but also be willing to learn your trade very well– like any other profession. PT: Oh, she was excellent. She would read her lines once, study them, and that’s it. She was really good. She actually taught me a few things. Every time I did background work or whatever, she was always so thrilled and excited for me, and she would give me tips. She was really good at what she did. She really knew her job. I mean, she learned at a very young age– 15. She worked with Otto Preminger, Paul Newman… She worked with all of them. JR: So, from what you knew about Jill and from watching her movies, what was the one movie that we should see that spotlights Jill Haworth at her best? PT: “Exodus”. As Karen in “Exodus”. The tons of fan mail and stuff that people write in always refer to “I remember you as a little girl in ’Exodus’.” and “You inspired me”… This one girl, a fan from Finland, was really taken by Jill. Before Jill passed away, this girl put together a slide show– a video– of all Jill’s work and photos, and put it up on YouTube. We were shocked. I mean, she did a lot of work in this video. She was a big Jill fan. So yeah, I think it was Karen in “Exodus”. JR: Did Jill have a favorite role– maybe a role that she talked about a lot, or had a lot of stories from? PT: Well, she had some really great, funny stories from “Cabaret”. At the same time as “Cabaret”, Lauren Bacall was also doing a show across the street (“Applause“). She had some great stories from that. During the Tony Awards, she was sitting between Harry Belafonte and Lauren Bacall. She sang live on stage that year. She talked about the party scene, and going out to clubs, and everybody she‘d run into, and all that stuff. Previous COMING OUT UNDER FIRE: Justin Crockett Elzie Talks About His New Book "Playing By the Rules".